Gerber 06 FAST - Tanto, Serrated. 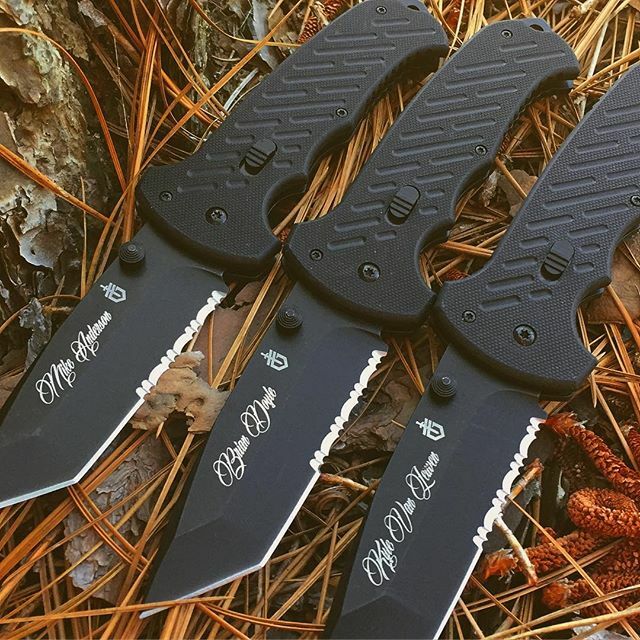 The Gerber 06 Fast is built on the same platform as the fully automatic Gerber 06. The knife is so popular that Gerber decided to offer this assisted opening version of the knife. 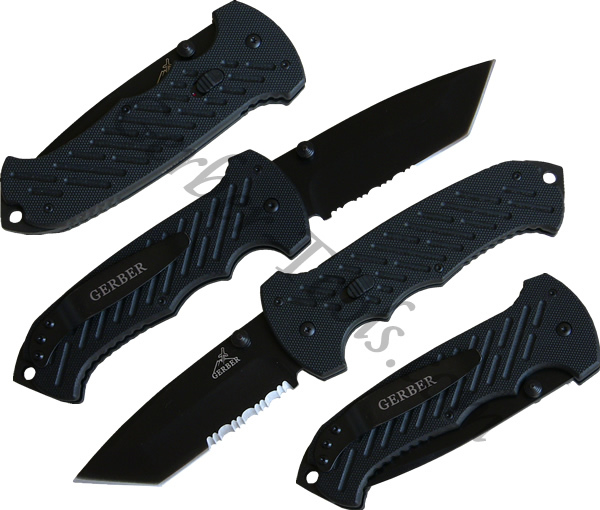 This Gerber 30-000118 is opened by the ambidextrous thumbstuds on either side of the blade. The Gerber 06 Fast has a serrated tanto blade that is held in place by a piston lock in the handle. To close the blade simply push on the piston lock. 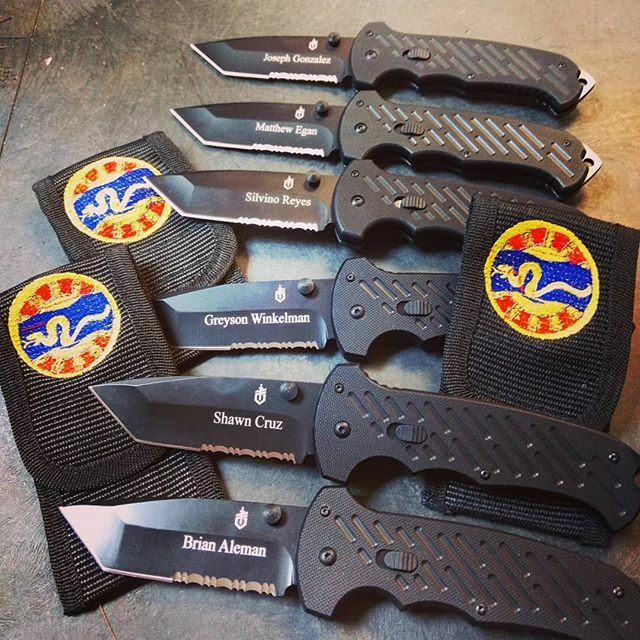 A pocket clip is included for easy carrying.